The fn:replace function replaces parts of a string that match a regular expression. The regular expression syntax used is defined by XML Schema with a few modifications/additions in XQueryXPath/XSLT. The $pattern argument is a regular expression. While it is nice to have the power of regular expressions, if you simply want to replace a particular sequence of characters you don't have to be familiar with regular expressions to do that; you can just specify the string you want replaced for $pattern, as long as it doesn't contain any special characters. The $replacement argument specifies a string (not a pattern) that is to be used as a replacement. The $flags argument allows for additional options in the interpretation of the regular expression, such as multi-line processing and case insensitivity. 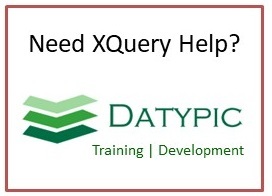 Flags, reluctant quantifiers and sub-expressions are features that are covered in detail in chapter 18 of the book XQuery. For more examples of XQueryXPath/XSLT/XML Schema regular expressions, see this page. $flags xs:string flags that control multiline mode, case insensitivity, etc.